Give your tree a handmade and homespun look with this easy crochet garland. Even better make this garland as a thoughtful handmade gift. This Christmas garland can be made with 5 options and 3 variations! I love giving handmade gifts but they do take time , so you need to start now to create a handmade holiday! The whole month of November is filled with handmade gift tutorials. I have teamed up with my friends Thirty Handmade Days (crafty tutorials) and Your Homebased Mom (recipes) to share over 100 super awesome handmade gift ideas! You won’t want to miss a day. 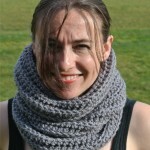 If you have a child on your list this easy kids cowl make a totally useful gift that kids will love! We also have fabulous giveaways going on! Head on over to Crochet Concupiscence to enter to win a $300 Michael’s Gift Card. Imagine all the yarn you could buy! You could be making garlands all day long for everyone! Welcome Kathryn from Crochet Concupiscence sharing this useful Christmas garland tutorial. It is so much fun to make handmade Christmas gifts and decor. Each year I make a couple of new things for the home. My favorite part is getting out the boxes each year and unpacking the things I made previously that I’ve sometimes forgotten. If I add a few things each year then I will come to my later years with a million memories. That said, there are some years when it’s just too busy and it’s hard to make a lot of new Christmas decor. Even if we’re starting early (which I hope this month-long set of posts is inspiring us all to do!) it can be a lot to ask to make decorations on top of gifts. That’s why I always have a few really quick-and-easy projects in mind, like the one that I’m sharing today. In essence, the idea here is just to crochet a super long chain that can be used as a handmade garland for your Christmas tree. I’ll go over some options and variations to change it up and personalize it. The basic idea here is super simple. Crochet a chain long enough to wrap around your Christmas tree like a garland. A good way to gauge the approximate size of chain that you need is to measure the diameter of your tree at the base and multiple it by the height of your tree. So if my tree is 5′ diameter and 4′ tall then I’ll need to make a crochet chain that is approximately 20′ long. Crochet your chain using metallic crochet thread for a look that is reminiscent of traditional Christmas tree tinsel. This option will take a little bit longer than some of the other options but has a great finished look. 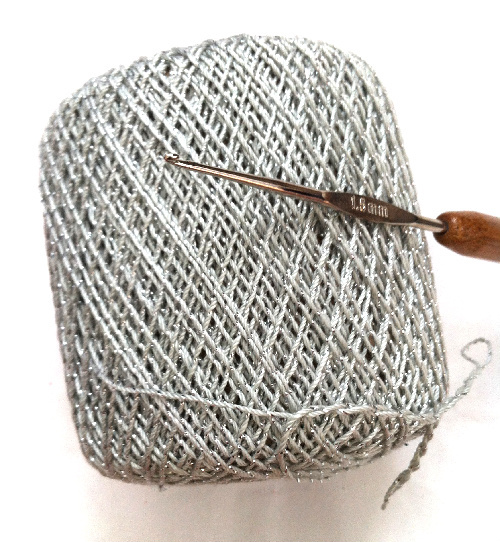 Here’s a guide to thread crochet if you’re new to it. Use really chunky, fluffy white yarn or roving and work with a large hook to create a crochet garland that looks a bit like snow on your Christmas tree. This is the option that will work up most quickly. This is one that you could do using finger crochet, too (instead of hooks), which is great if you want to get young kids involved in making the garland. 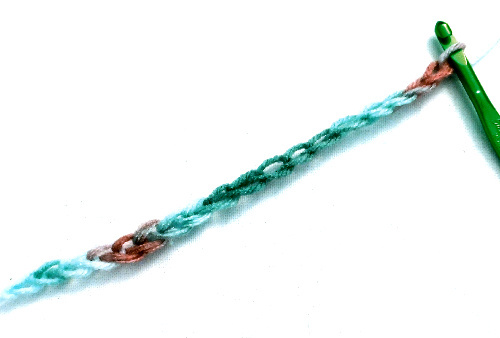 Work with 2, 3, 4 or more colors at once to create a multi-strand crochet chain to use as your crochet garland. The effect here is stunning; it can look a lot like additional Christmas tree lights with those pops of many colors. Crochet several long chains instead of just one. You could use the same color or a variety of colors. Loop them all around the tree as multiple crochet garlands. 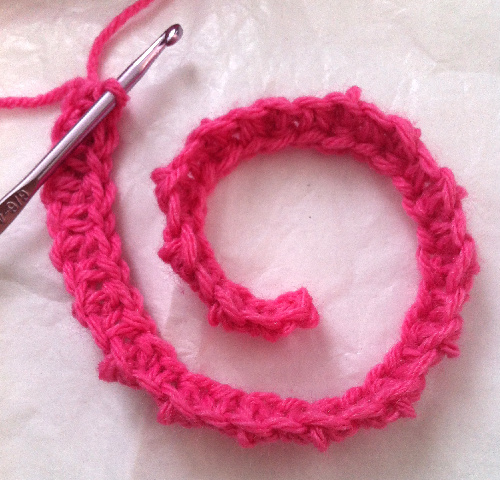 Find a thick-and-thin yarn that you like to use for your crochet chain. This adds some additional texture and interest to the basic crochet chain and makes for a more intriguing crochet garland that is still quick-and-easy to work up! One great variation on the basic crochet chain is to crochet a single row (essentially a long chain) of your favorite basic stitch – sc, hdc, dc etc. 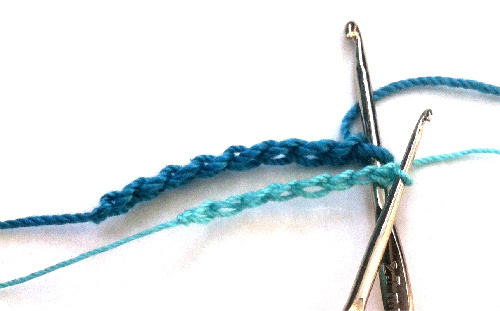 It can be a pain to crochet such a long chain and then work backwards again to complete the row of stitches so consider working with the chainless foundation row approach. You can find tutorials for this technique all around the web; I like the foundation single crochet tutorial from Doris Chan. If you have a little bit more time to spend on your crochet garland then you might consider working up a small pattern. 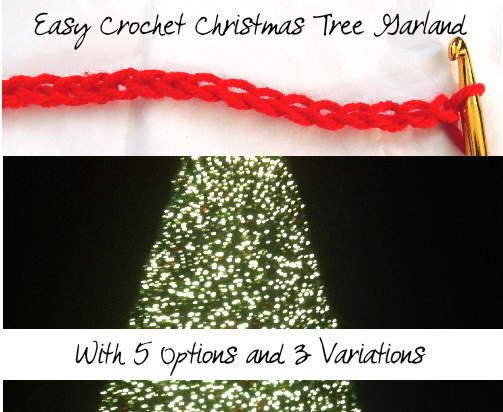 Classic crochet edging designs are a terrific option because they’re the perfect small width for a tree garland. I personally love a basic crochet shell edging or picot edging; a long row of either of those would look lovely on a tree. The one show above is seed stitch. There are some great books on crochet edgings as well, including Crochet Edging and Trims by Kate Haxell and Around the Corner Crochet Borders by Edie Eckman. Get creative! One of my favorite vintage looks for Christmas trees is the old popcorn-on-a-string garland. I’ve never made one of those myself, because I just can’t imagine sitting there and stringing popcorn, but I love how it looks. That’s why I love the idea of creating a crochet garland using the popcorn stitch. It can be worked in a yellow/cream/brown/white yarn to look almost like real popcorn! Get creative with your crochet chain garland. It’s a simple project but it can be a a lot of fun when you put your own spin on it. This post is by Kathryn Vercillo, the blogger at Crochet Concupiscence and author of Crochet Saved My Life. 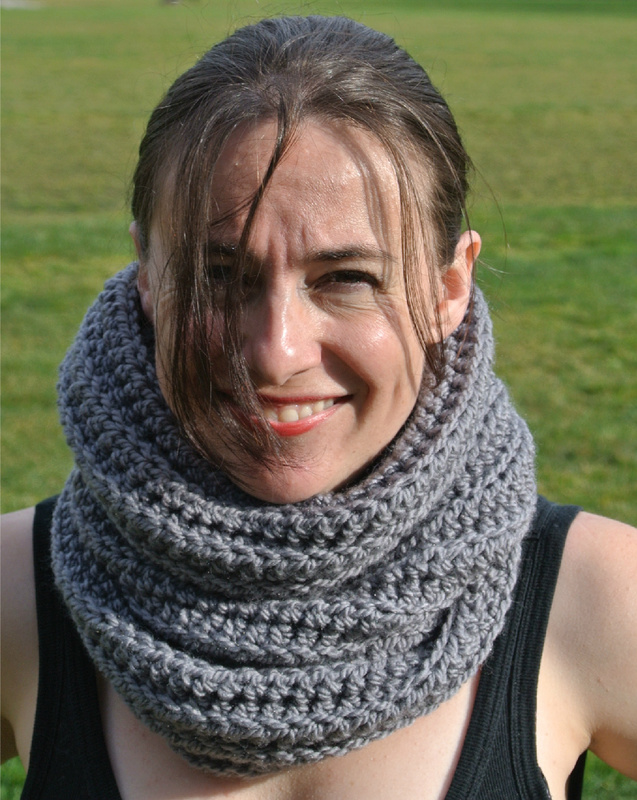 Kathryn loves all things crochet and is committed to doing her part to connect the crochet community through her blog and social media efforts. She specializes in studying and reporting on the health benefits of crochet. Connect with her on Twitter, Facebook, G+, Pinterest or Instagram. Thanks. I will have to make some garland this year!